I can't believe it's been four years since I last wrote about Northless! The last releases I wrote about were their split with Light Bearer and their last EP "Valley Of Lead". Time flies and since then they've given the world a full-length, a split with Primitive Man and this EP, that saw the light of day in March via Triple Eye Industries. It's due out on tape shortly too via Hand Of Death Records. 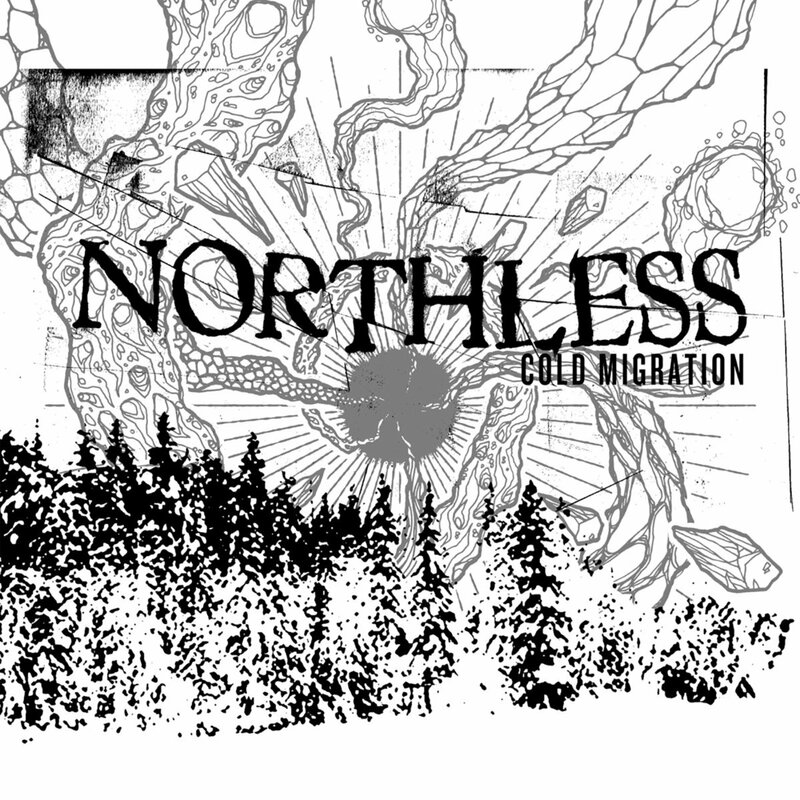 Northless is definitely one of those bands that while keeping a relatively low-profile (outside of Wisconsin), manages to always pull you in with their sludge-heavy persona. If you’re looking for dank and claustrophobic atmosphere fraught with crushing low-end, then you’re in the right place here. Relatively short (in Northless terms) opener The Curse Of Being drives metallic guitar headfirst into piercing cymbals and rage-fuelled roars. Urgency is prevalent in the song while fear is the feeling is provokes. The title-track contains the thick and sludgy riffs that you’ve come to expect from them (and previous split fellows Primitive Man for that matter), though here Northless use clean-vocals to change the mood and take things in more of a noise/grunge-rock direction. The balance they create between the vocals and the metallic riffs makes for something both surprising and inspiring. 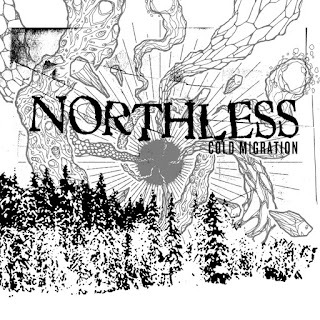 Northless get slower as EP closer Conduit begins, but not before they’ve injected it with hints of heavy metaland even classic rock. They are subtle hints, but you can definitely here them within the melody. The music that Northless creates here takes many different forms but it’s layers come together to make something both thoughtful and memorable. It’s not often you can say that about a record with an eleven-minute plus song!